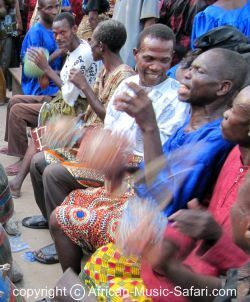 This website shall help you understand and fall in love with the music of Africa. Did you know that there is no genre called "Africa music"? In fact, this continent can be proud of many rich and diverse musical traditions. The more you learn about the music of Africa, the more you'll enjoy it. Let's go on a musical exploration tour! I hope you enjoy browsing my site and invite you to share your own passion by commenting and contributing your knowledge on the various topic pages about artists, instruments etc.